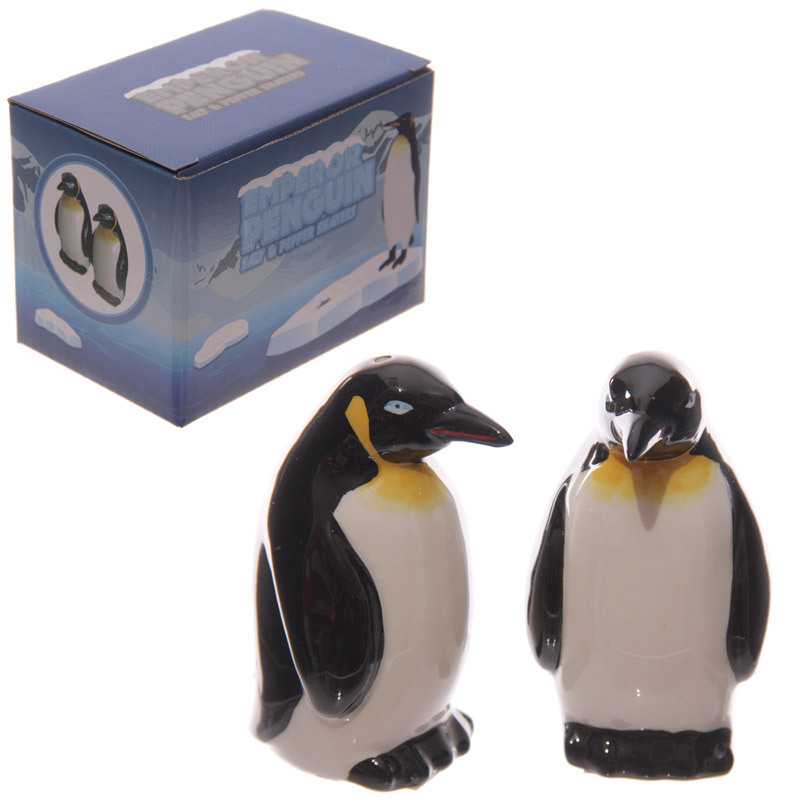 Cute ceramic salt and pepper shakers in the shape of adorable penguins. Dimensions of each: 8 x 5 cm. Sold in a box. Great gift idea, especially for a housewarming party or a wedding.